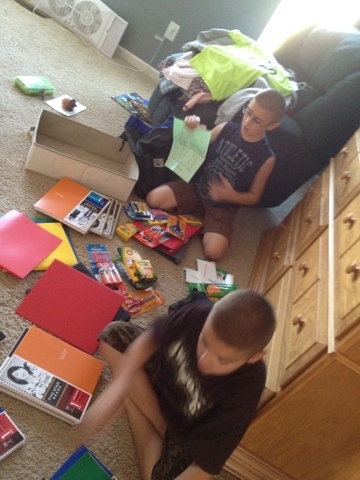 I set the boys to work on sorting out school supplies and loading backpacks…while I continued to organize new bedrooms. 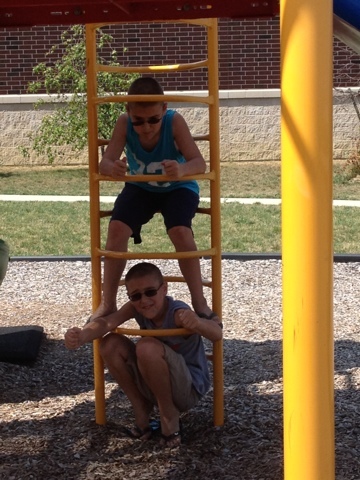 Playing at the playground. Apparently, they are saving the world! 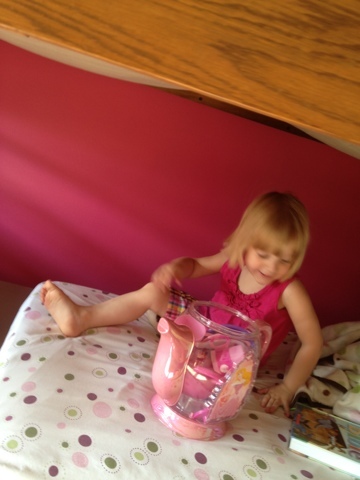 Princess breaking in her new bed with a tea party. This little one is loving her bunk beds!